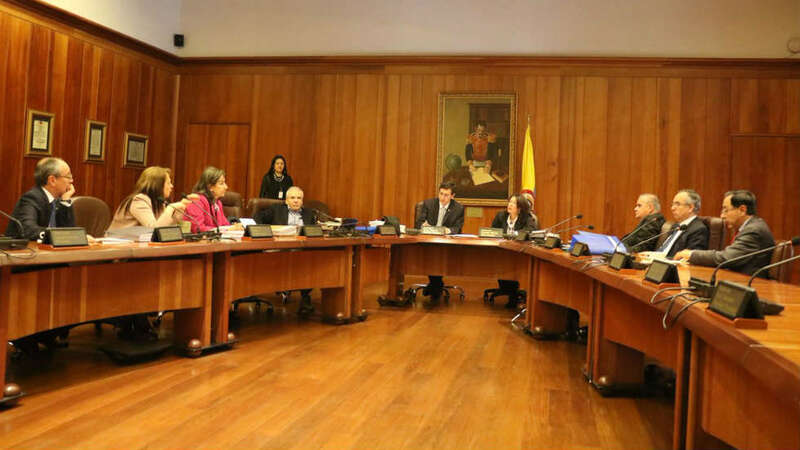 Colombia’s state council on Thursday overruled the sinking of congressional seats for victims, a key element of an ongoing peace process with demobilized Marxist rebel group FARC. The 16 reserved seats for regions that have suffered state neglect and violence for decades has caused a major rift in the country’s political system. Victim representatives have rejected Congress for failing to ratify a far-reaching political reform and the transitional seats they had been promised during the peace talks. Now the Council of State says yes but the president of the Senate came out to say no, this means that we are not only victims of the armed conflict, but also of the State and of the political parties that have historically exercised power in this country. Supporters of the peace process have stressed the importance of political participation of the regions that have suffered most from state neglect and armed conflict. There are very dedicated victim organizations that work for this country and that need space to participate. Almost half of all sitting congressmen have either opposed or failed to support the transitional measure. Much to the dismay of the victims, hard-right former President Alvaro Uribe went as far as saying the seats would go to the FARC, the former guerrilla group that demobilized earlier this year. We are not guerrillas. We are victims. In the final vote, 50 senators voted in favor of the transitional seats. According to Congress President Efrain Cepeda (Conservative Party), the votes were not enough to obtain the majority in the 102-seat Senate. The government and the state council, however, claimed that the vote did obtain an absolute majority as three senators are in jail and their seats are formally vacant. President Juan Manuel Santos, who received a Nobel peace prize last year for bartering the peace deal, urged the Constitutional Court to continue the process immediately after the ruling. The victims have the right to be heard for a short time, the victims were the ones who suffered most from this armed conflict. Colombia’s congressional elections are in March next year. Electoral authorities have little time left to prepare the ballots for conflict regions. The increased political participation of the 16 conflict areas in the 2018 and 2022 congressional election should allow victims increased representation during the 10-year peace process. Colombia’s second peace process in 15 years seeks to end more than half a century of drug-fueled political violence between the state, extreme left guerrillas and extreme right paramilitaries. The armed conflict killed more than 265,000 Colombians and displaced more than 7 million. More than 15% of the country’s population is estimated to have been victimized by the conflict.